A Buckingham Palace 1996 trinket box, framed silhouettes, miniature copper kettle, dressing brushes, etc. 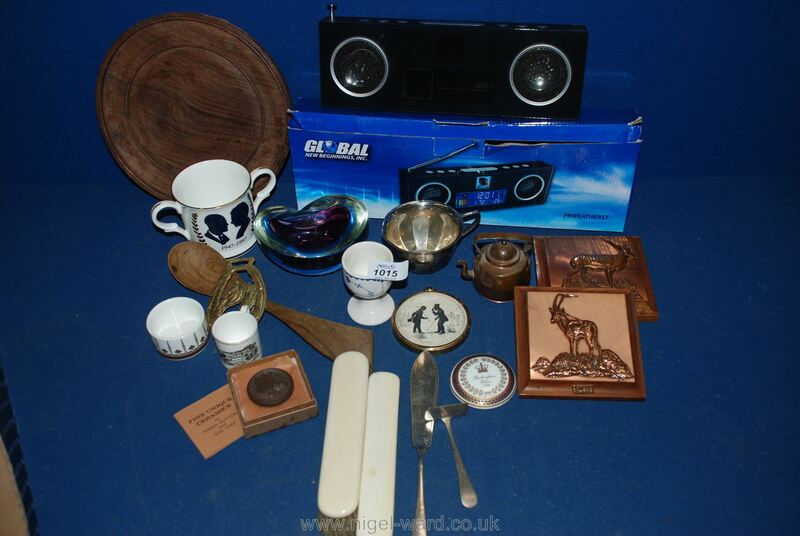 Lot 1014 A box including clock winder, pen tray, slide rule, etc. Lot 1016 An assortment of photo mounts.